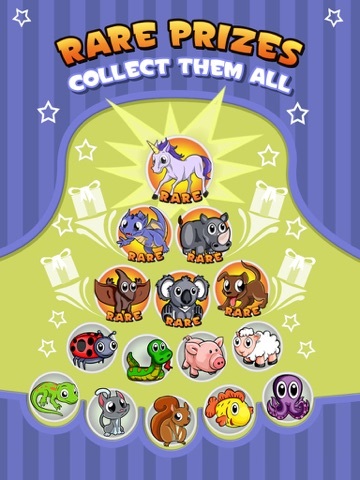 Paplinko van Game Circus LLC is een app voor iPhone, iPad en iPod touch met iOS versie 6.0 of hoger, geschikt bevonden voor gebruikers met leeftijden vanaf 4 jaar. 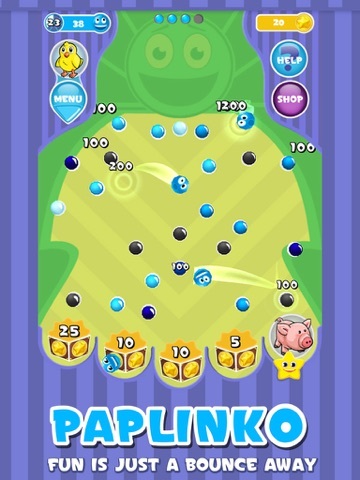 Drop in some fun with PAPLINKO! 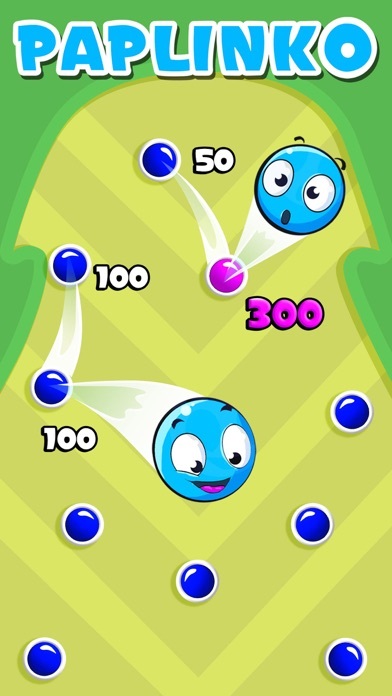 In PAPLINKO, the goal is to bounce balls into cups, collecting coins and prizes as you go along! 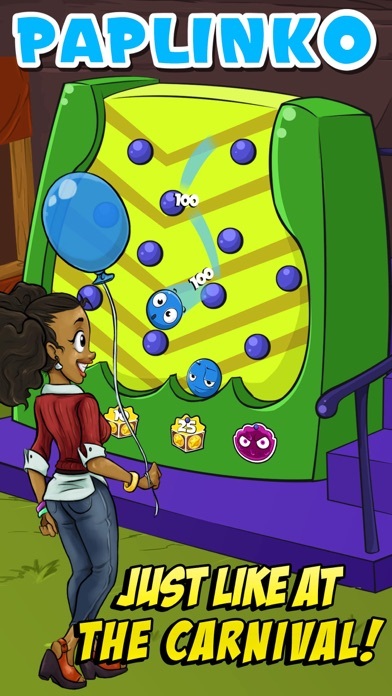 It's not all just about collecting prizes though- bouncing off the pegs earns points and careful play will rack up your high score! 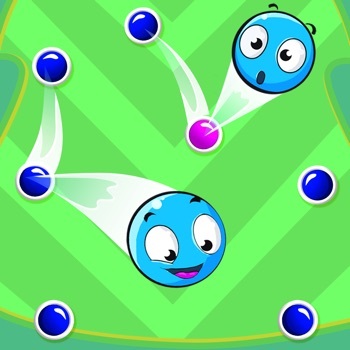 The balls bounce off multiple pegs, each hit racking up points and changing the ball's path to the bottom. You can carefully aim and shoot each one, but the peg board is constantly shifting, so you'll have to rethink your strategy as you play! Hordes of special pegs shake things up, from bomb pegs to teleporter pegs! 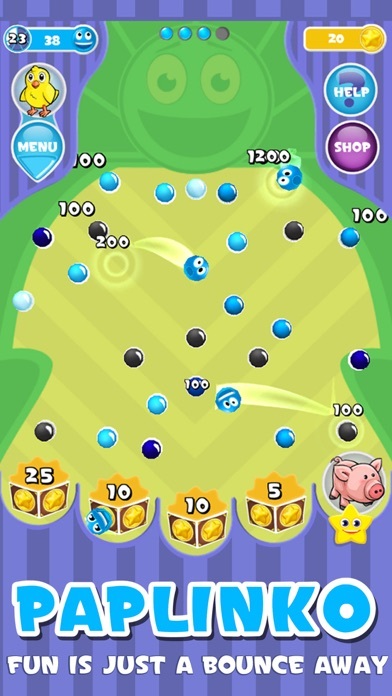 Use special multiplier pegs and bonus boxes to make that score grow and grow! 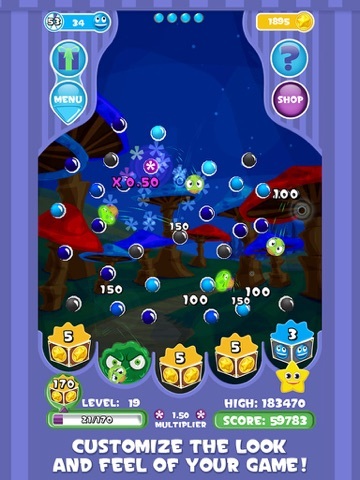 Beware, prizes aren't the only things at the bottom- slimes will break your high score if you're not careful! Trade in all the coins you've collected to buy new backgrounds and ball characters to customize your game! Don't worry if you run out of balls, check back later and you'll have more available! 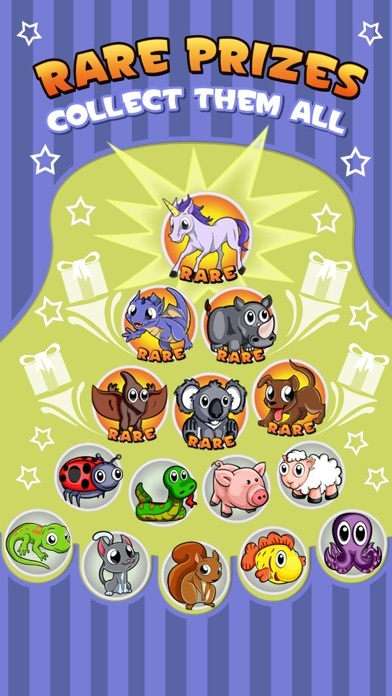 PAPLINKO is fun for both kids and adults, plus you can invite friends from Facebook, share high scores, and more! Fun is just a bounce away! - Over 30 prizes to collect! - Mobile pegs that change as you play! - Multiple puzzles to complete, with each puzzle set showing a different story! - Over 25 achievements to complete! - Special bonuses for daily play! 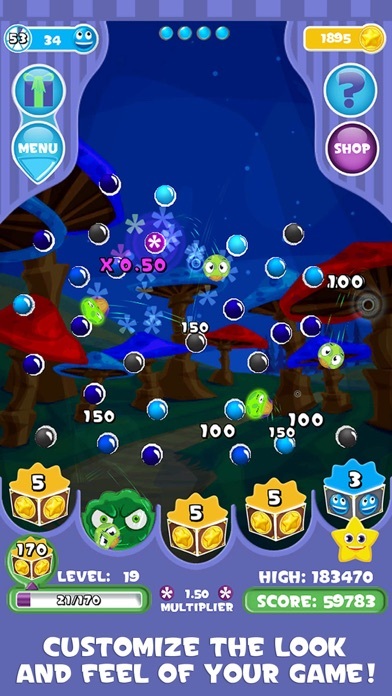 - A huge variety of special bonus effects to collect from the bonus box! 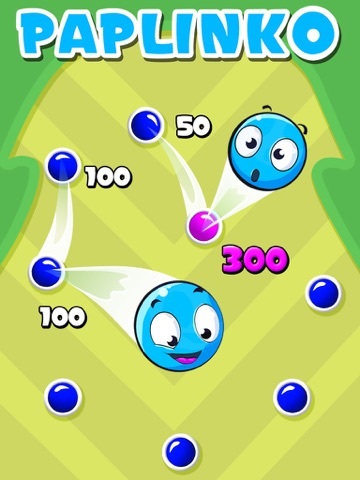 - Connect Paplinko with Facebook to post your high score and share the fun with friends! Check back for new prizes, new customizations and more! Don’t want ads? Buy any in-app product! 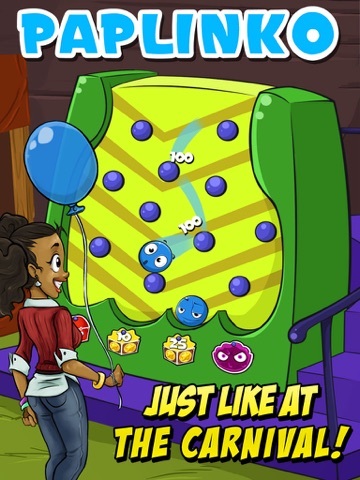 Try other games by Game Circus, including COIN DOZER and PRIZE CLAW! Informatie voor Paplinko is het laatst vergeleken op 19 apr. om 11:11. Downloads verlopen via iTunes, bekijk daar altijd de meest actuele prijs, compatibiliteit en andere informatie. Je hebt een actieve iTunes account nodig om apps aan te schaffen. - Can now double your mystery boxes and daily rewards! - Additional iOS 9 support! - Additional bug fixes and other improvements! Coin Dozer: HauntedUniverseel · Gratis! Taps to RichesUniverseel · Gratis! Coin Dozer: CasinoUniverseel · Gratis! Brick Breaker Hero!Universeel · Gratis! Coin Dozer: PiratesUniverseel · Gratis! Prize Claw 2Universeel · Gratis!